was launched nationally at the Smithsonian Folklife Festival 2017.
and at the Circus World Museum in Baraboo, WI. please contact Jeff Raz directly to receive an educational discount. For questions or for bulk mailing information email jeffraz@aol.com. Jeff will be offering interactive readings and book signings around the Bay Area and the country. To invite Jeff to speak, contact him at jeffraz@aol.com. Looking from the perspective of both teacher and student, master performer Jeff Raz gives us a clear-eyed and compassionate look at the artistic journey. 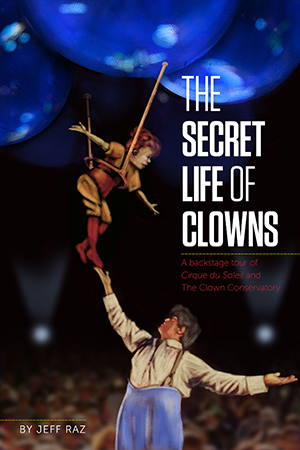 This book inspires from beginning to end: it captures the sweat, the sinew and the soul of clown.